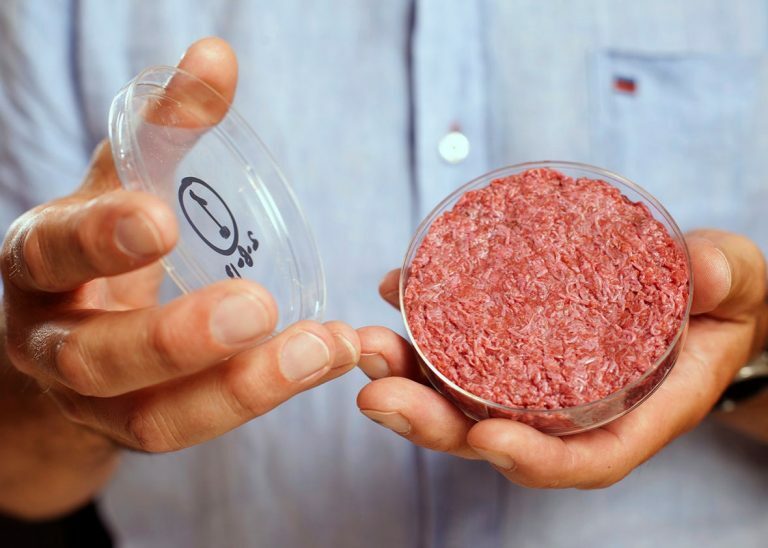 Dinner from a Petri Dish: Could Lab-Grown Meat be the Future of Food? You sit down at the dinner table, ready to inhale a hamburger big enough to feed an army. Juicy, tender, delicious, and … vegan? Lab-grown meat, otherwise known as in-vitro meat or cultured meat, has been gaining popularity as a partial solution to not only save the lives of animals, but also to reduce carbon emissions and provide a healthier alternative to meat from livestock. Although it has been researched for decades, cultured meat has yet to be mass-produced as start-ups encounter obstacles in scaling their companies and overcoming consumer reluctance to try the new product. How would you feel if your dinner came from a petri dish? Understanding how this mystery meat works may ease some of your initial reservations. 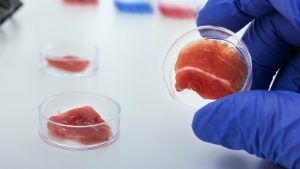 The technology used to produce lab-grown meat comes from the field of tissue engineering and is similar to the research being done to grow transplant organs. 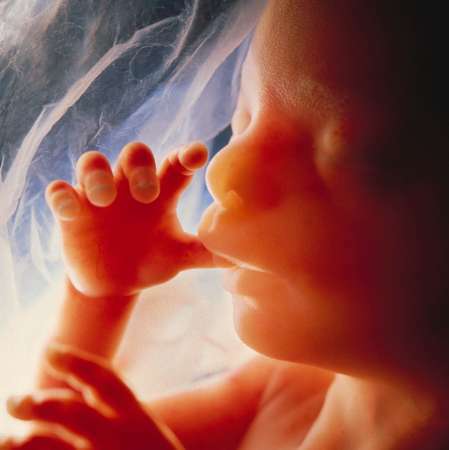 The process begins when a sample of cells, typically embryonic stem cells, adult stem cells, or myosatellite cells, is collected from the animal . 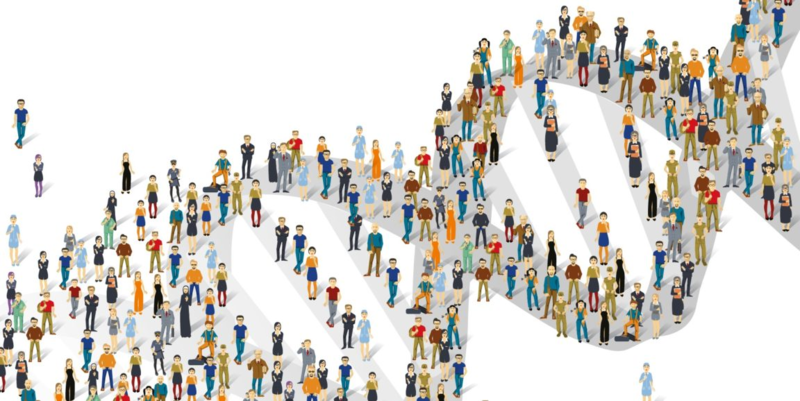 Although stem cells have high replication rates, the process of differentiating them in order to grow into a certain type of cell, such as muscle cells, makes production more difficult. 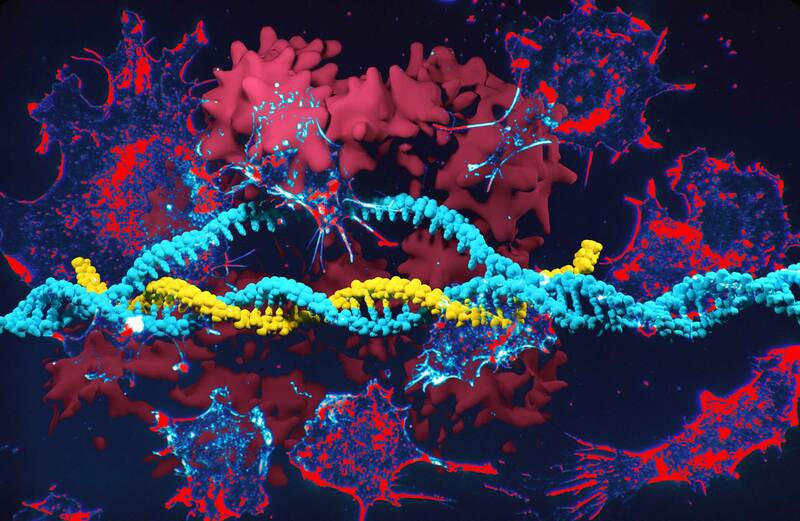 Unlike embryonic stem cells, adult stem cells require regular replenishing of culture. While fully developed muscle cells do not need to differentiate, they proliferate very slowly . The more commonly used Myosatellite cells or myoblasts offer a happy medium, as they proliferate fairly quickly and are already differentiated between different types of muscle. 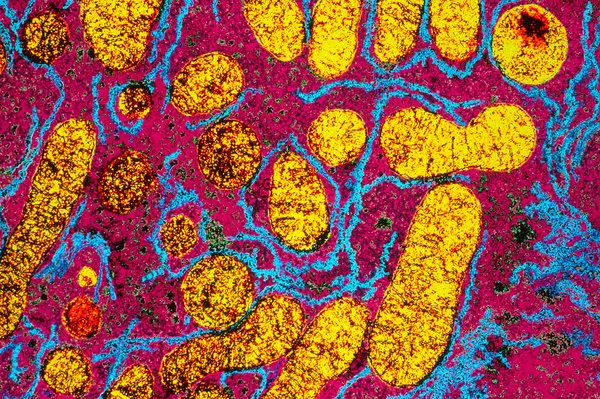 The disadvantage to these cells is that they are very rare, making up only 1–5 percent of cells in muscle tissue and reducing in number as the organism ages . The selected sample of cells is grown on a scaffold in order to develop three-dimensionally. These scaffolds have large surface areas and are able to stretch and move to simulate animal movement, thereby “exercising” the muscle as it would in vivo . The cells proliferate in a growth medium that supplies the cells with proteins and energy. Animal sera such as fetal bovine serum is often used, although it raises health concerns as the serum could carry pathogens from the animal . Because the serum comes from animals, it also brings up ethical issues and could be rejected by concerned consumers. Animal sera are also highly expensive, making mass production of cultured meat even more challenging. Ultroser G, an alternative to serum-free media, contains one-fifth of the protein found in serum but has proven to successfully facilitate the growth of cells on the scaffold . However, the cost of the patented product is a major obstacle in producing vast quantities of lab-grown animal products. Clearly, producing in-vitro meat on a large scale is no small task. 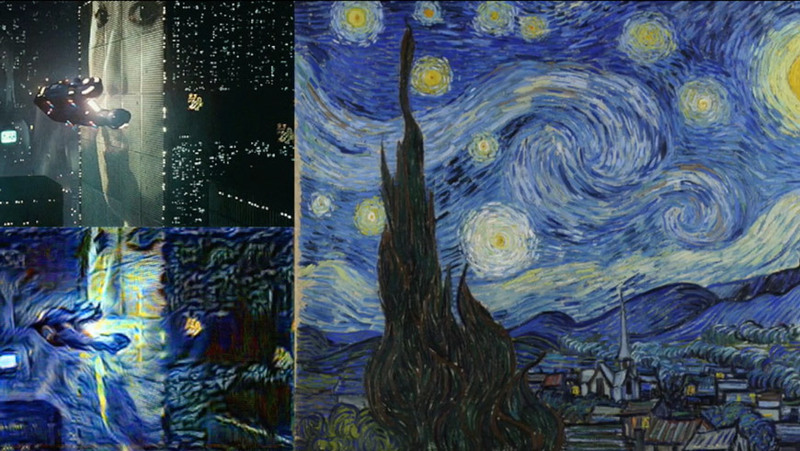 The ideal process is and will continue to be refined with more research and improved technology. Once the complicated and costly manufacturing process is completed, the environmental, ethical, and humanitarian impacts of using cultured meat over livestock can then be addressed. The effects of producing lab-grown meat on the environment when compared to slaughtering livestock are still being researched today. Because the overall impact is complex, there are trade-offs that we cannot be fully aware of until we are able to observe production on a large scale. Because cultured meat does not require large expanses of land or feed to raise animals, it would likely reduce current challenges like deforestation and the consumption of agricultural resources. 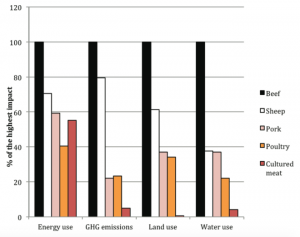 The most recent research published in Environmental Science and Technology in 2015 was able to conclude that in-vitro meat requires 99 percent lower land use, 82 percent to 96 percent lower water use and reduce greenhouse gas emission by 78 to 96 percent . However, as in-vitro meat cultivation expands, it will likely use more industrial energy than livestock. The margins of error in this research are fairly large, so there is much uncertainty in regards to the long-term effects . Although there certainly are consumers concerned with the ethics behind how lab-grown meat is made, it’s also important to consider the ways in which in-vitro meat could also lessen many ethical dilemmas the world struggles with today. Moreover, if the cultured meat is able to successfully scale and transition into mass production, it will ultimately be less costly to produce than traditional livestock meat. This is because livestock can take months or even years to raise, but cultured meat can be grown in a few weeks. If this meat is cheaper and faster to produce, it could be used to increase accessibility to meat in developing countries and combat malnourishment. Lab-grown meat can also be engineered to have less saturated fat content and more vitamins and minerals, making it a healthier alternative to slaughtered meat and a rich source of essential nutrients to those who don’t have access to them . Despite the fact that cultured meat minimizes animal-borne pathogens and the need for harmful pesticides and antibiotics , consumer are still wary of consuming a product that came straight from a lab. As the push for natural products increases, lab-grown meat appears to be a tough sell. Despite the many questions surrounding lab-grown meat, startups like Memphis Meats have gained the attention of some of the biggest investors in Silicon Valley. With the help of Bill Gates and Richard Branson, the startup raised $17 million in initial funding . These so-called “clean meat” companies have carnivores and vegans alike on the edge of their seats, but they have yet to fully scale and commercialize the product. The largest obstacle is the cost of production. The cellular medium accounts for the vast majority of this cost, as non-animal-based serums are far more costly than the commonly used fetal bovine serum, which could be rejected by consumers looking for an entirely animal-free alternative to meat. Besides cost and the difficulty in scaling, consumer response to these startups is one of the largest and most uncertain variables. 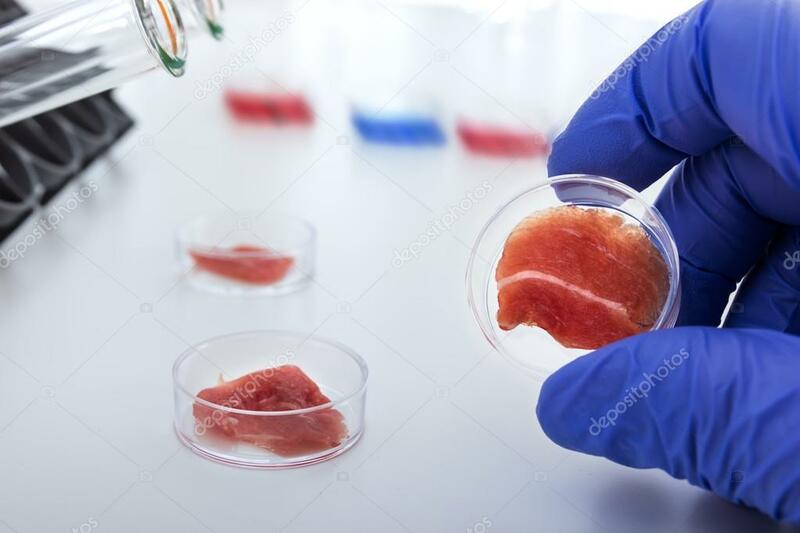 A study conducted by the Institute for Technology Assessment and Systems Analysis (ITAS) concluded that most consumers are open to the idea of in-vitro meat as one alternative to traditional meat . Those who oppose lab-grown meat have very different reasoning. Some believe that meat consumption itself must be reduced or eliminated, and therefore prefer plant-based alternatives to meat. On the other hand, some of the opposition is hesitant to completely convert to a food source that isn’t “naturally” produced and are concerned that the replacement of livestock in favor of in-vitro methods will lead to job loss and monopoly . Although the cultured meat industry will create new jobs, some worry it will not be enough to replace the jobs lost from livestock farming. Even after decades of research, the revolutionary question of cultured meat in an ever-growing food industry still remains unanswered. Nevertheless, as technology improves and awareness of the impact meat has on our environment increases, we may find ourselves in a world in which we don’t have to feel guilty for eating a hamburger. Maya is a first year Marshall student at UCSD, majoring in Biochemistry. She joined Saltman Quarterly in hopes of sharing her passion for biology and bringing awareness to the phenomenal research being done at UCSD. Outside of SQ, you can find Maya sketching and catching up on the latest season of Game of Thrones. Previous Dragons: Why Can’t We Have Them?